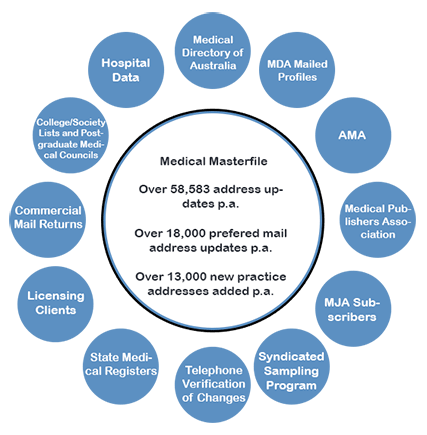 As a full service business mailing list broker, Healthcare Mailing Leads will work with you to obtain the exact mail or business email list you need. If we can’t obtain it, we’ll help create it. Basically, if you can share a little bit of your background and focus with one of our expert business marketing professionals, we’ll make it our priority focus to dig right in and produce the perfect list for your project’s one-of-a-kind needs. Why choose our company to develop your business marketing list? We know that there are lots of choices available when it comes to sourcing any list of corporations, organizations, and smaller companies. Here are just a few reasons we should be your first choice business mailing lists and business marketing lists. We understand that accuracy not only matters, but it’s essential to running a profitable, effective business marketing campaign. We’re independent – this means that we can draw upon thousands and thousands of unique company lists to find the perfect prospects for you. Every business is different – we’ll help you decide whether traditional direct mailing is the best approach, or if telemarketing or marketing via an email list is instead the best way to produce superior results. We always provide friendly and prompt service. Our lists are always current and never overused – plus, we have access to some proprietary business organization lists that are available nowhere else. The largest healthcare email database, typically matching greater than 90% of target files. Nurses, Doctors, Paramedics, Dentists, Cosmetologists, Pharmacists, Therapists, menu-top Workers and more.